Securely donate to support cancer research or to support patient care. To make a credit card donation by telephone, please call 412-623-4700 Monday-Friday 8:30 AM to 5PM (EST). You can designate your gift in memory or in honor of a loved one by selecting Memorial/Honor Donation when you access the online donation form. You may also request a supply of pre-addressed donation envelopes via e-mail from boehmmg@upmc.edu. To direct memorial gifts to a specific program at UPMC Hillman Cancer Center, please call 412-623-4700 for assistance. Example of obituary wording: “In lieu of flowers, memorial contributions may be made to UPMC Hillman Cancer Center. [If designated for a specific type of cancer research/program, please note this here]. Please mail to: Development Office, UPMC Cancer Pavilion, Suite 1B, 5150 Centre Avenue, Pittsburgh, PA 15232." Will a small gift still make a difference? Every gift makes an impact. Several small gifts can be coupled to make a very meaningful difference to help fund a start-up pilot project or help a scientist fund research to compete for federal research grants. Your gift is powerful in many ways. Will I receive acknowledgement of my gift? Yes, online donating will generate an immediate confirmation. The Development Office will acknowledge donations sent by mail as soon as possible. A gift in honor or in memory of a loved one will also be acknowledged to the individual or family member specified by the donor. Yes, UPMC Hillman Cancer Center is a not-for-profit 501(c)(3) organization. All donations are tax-deductible to the extent allowable by law, and will be publicly acknowledged unless otherwise requested by the donor. A copy of the letter documenting tax-exempt status is available from the Development Office. How can I utilize my company's matching gift program? Matching gifts are directed to the same designation as your personal gift, unless the company's policy indicates otherwise. Please contact your company's matching gift coordinator for details on participating in their matching gift program. For questions or problems with UPMC Hillman Cancer Center matching gifts, please contact the Development Office at 412-623-4700. What if I need more information about making a gift? The UPMC Hillman Cancer Center Development Office has professional staff who are able to assist you with all types of charitable gifts. For more information about making a gift, please call the Development Office at 412-623-4700 for personal assistance. What is the difference between donating to support cancer research or to support cancer care? 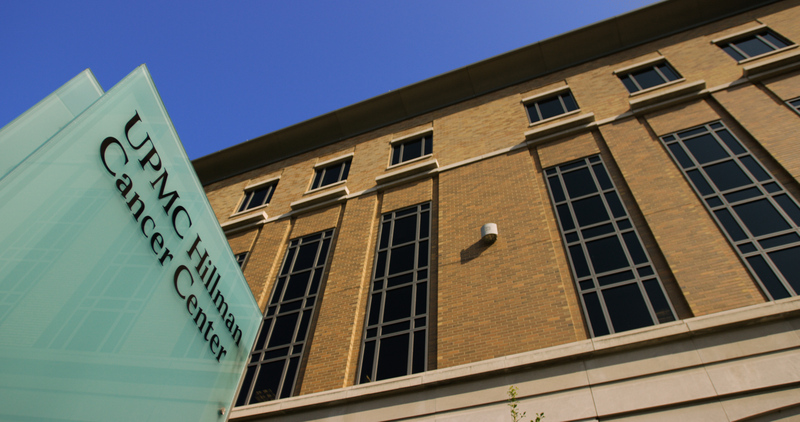 UPMC Hillman Cancer Center encompasses both the conduct of basic and clinical research in affiliation with the University of Pittsburgh, as well as the provision of patient care in affiliation with the UPMC cancer care network. Because the missions are so closely intertwined, many of the physicians are also researchers, and research that directly relates to new treatments for cancer involves physicians, nurses, and staff as well as researchers. Our gift officers will be happy to discuss your needs with you and make sure your gift will be used for your intended purposes.